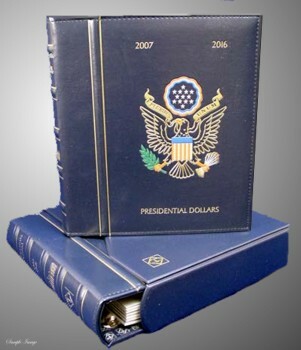 This hand made album has fine stitched seams, attractive inner lining and a reinforced spine. It has all spaces for President dollars by the Denver and Philadelphia mint. Album comes with matching slipcase.